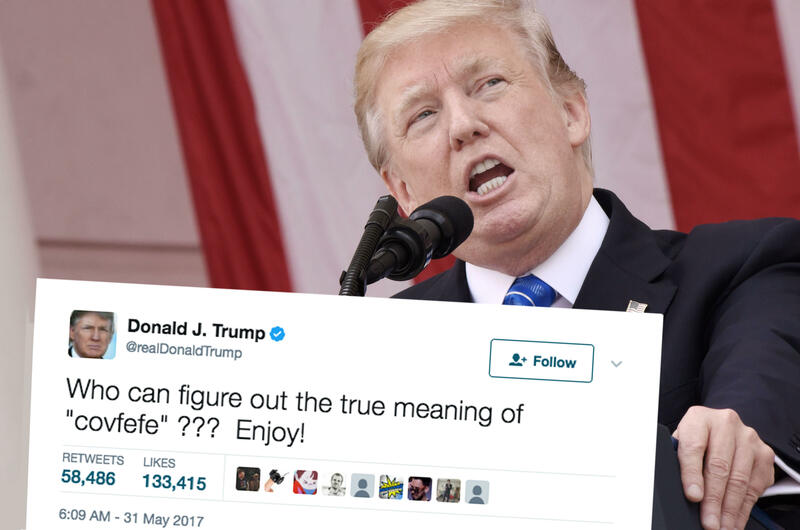 WASHINGTON -- A midnight tweet from President Trump has social media trying to find a meaning in the mysterious term "covfefe." He tweeted just after midnight Eastern time on Wednesday: "Despite the constant negative press covfefe." The tweet immediately went viral and became one of the president's most popular posts. The Washington Post says, "It's a good guess that the word he was looking for was 'coverage.' But the tweet, and the thought, remained incomplete. Within two hours, it had been retweeted more than 60,000 times and 'liked' more than 74,000 times - making it one of his most popular tweets in months." By 4:45 a.m., it had been retweeted more than 112,000 times. But by 7:30 a.m., the initial tweet had been taken down. Many on Twitter have supplied tongue-in-cheek meanings. One user joked that "covfefe" is already a popular name for babies in states that voted for Mr. Trump.